All smart phones, including the BlackBerry, are designed to help you communicate. And while the BlackBerry does this job well, these apps can help it do even better. From how you make and answer calls and messages to how your BlackBerry alerts you, these apps have you covered. 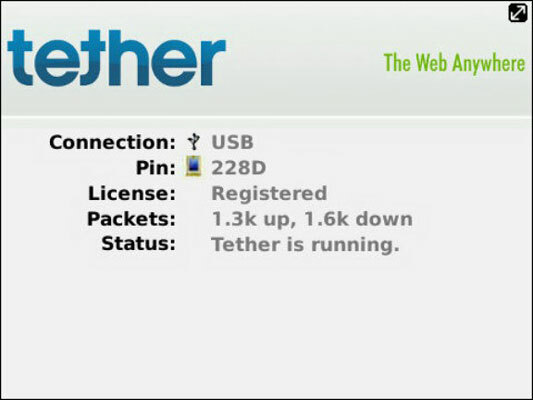 Tether is a two-piece app that allows your laptop computer to connect to the Internet by using your phone’s datastream. With Tether, a small app on your BlackBerry and a small utility program installed on your PC or Macintosh laptop communicate with each other over a USB cable or a Bluetooth wireless link. Using your BlackBerry as a link to the Internet is generally more secure than using a public Wi-Fi service. You may never need it if someone is listening in on your Internet session in a public place; the likelihood of tapping into your connection through your smartphone is very remote. When you use Antair Call Screener, if a caller you have listed on your blacklist to be blocked connects to your phone, you aren’t disturbed. 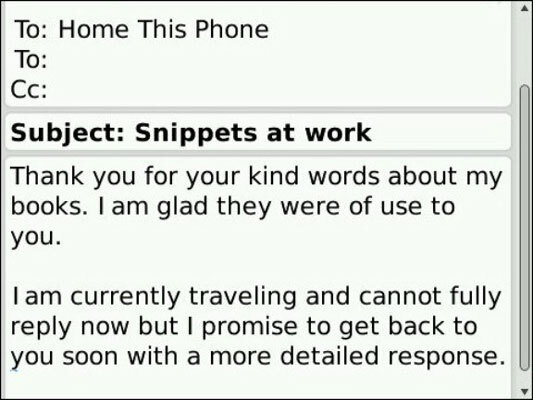 He or she is sent directly to voicemail. The app can also be set to send any caller not in your contacts list or any caller who hides his or her identity to the same electronic filing cabinet. 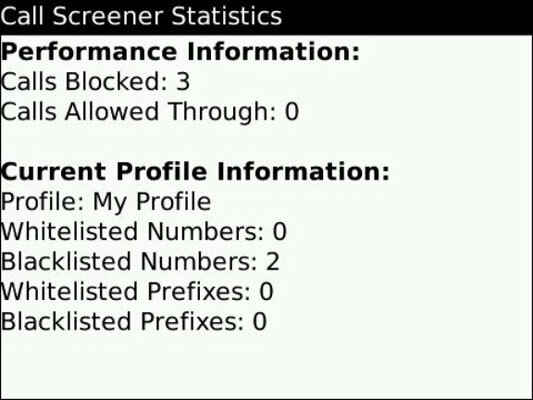 You can enter a phone number directly to a whitelist (always allow) or a blacklist (allows divert) or make other settings such as allowing or blocking calls from a specific area code or country code, or blocking private callers or numbers that are not amongst those in your personal contacts list. Antair Snippets is an app that creates and stores what programmers used to call macros. With a click of the BlackBerry Menu button, you can insert a predefined snippet of text to speed your work in e-mails, text messages, Twitter tweets, and just about any other form of electronic communication. You can also use the app to create a set of different signatures to go at the start or end of e-mails you send; you could have one signature with full personal contact information to send to friends and trusted business contacts, another with minimal information to go to people you don’t want phoning you in the middle of the night. 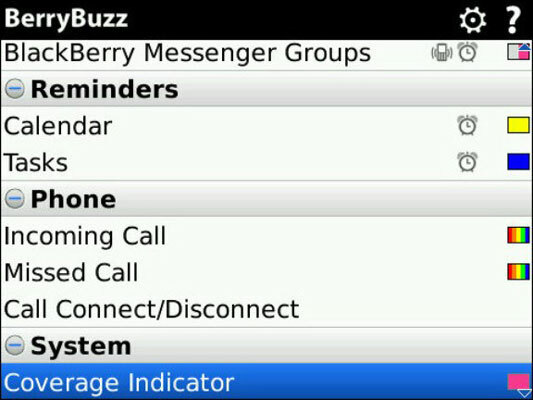 BerryBuzz tweaks nearly all of the settings of the built-in alert system of the BlackBerry. For example, you can set separate LED colors for each e-mail account on the phone. The same applies to PIN messages, instant messages from BlackBerry, AOL, Google, Twitter, and Yahoo!, SMS or MMS texts, calendar alerts, tasks, and missed phone calls. And you can program the app to set the custom alert for a growing number of third-party apps. BerryBuzz is designed to use as little power as possible, and you can also set it to slow down or stop to save power if you’re away from the phone or otherwise choose to ignore its insistent beckoning. 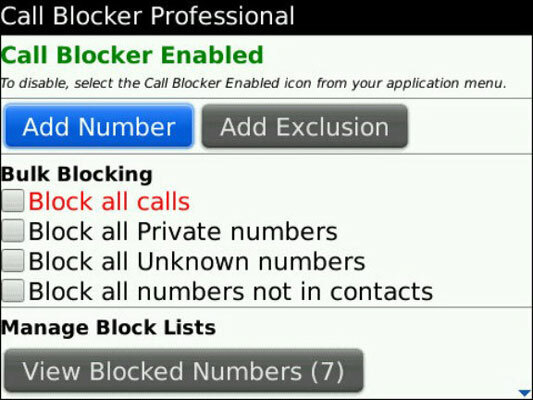 Call Blocker Pro, from Epic Applications, is like having an answering service for your BlackBerry. You can instruct it to block a specific phone number, an entire area code, or any call from someone who’s not listed in your contacts. You can also block calls from anyone who hides his or her own phone number with a caller ID that reads Private Call. You can also use the “pick up and hang up” option, which is just what it sounds like: the caller hears only a click, and doesn’t know if the number is still valid or learn anything else about you. 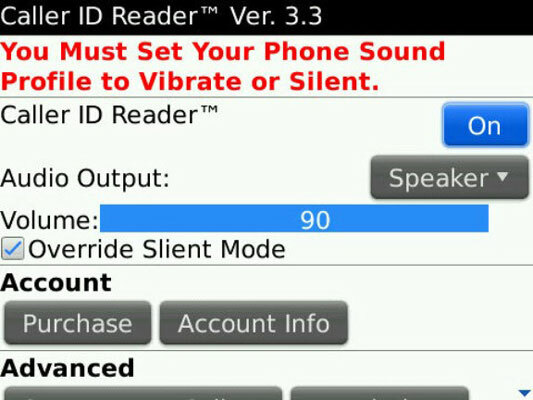 Caller ID Reader uses a very clear and easy-to-understand computer-generated voice to announce callers. The first time a call is received, the app will announce the incoming phone number; after the phone call is over, the app will look for the caller’s name in your contacts list. This product connects to your Internet to convert text to audio and therefore is using your data plan. Be very wary if you don’t have an unlimited data plan or if you use your phone while roaming internationally. 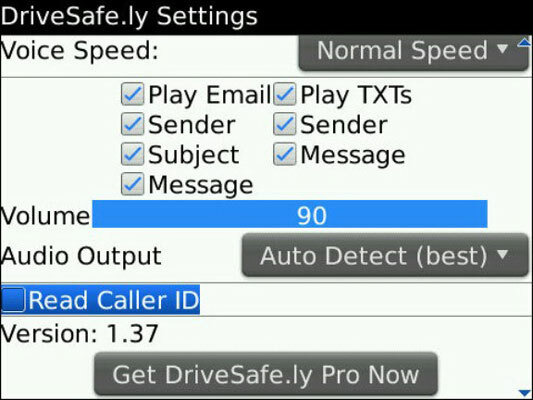 DriveSafe.ly is a very advanced text-to-speech system that intercepts incoming SMS text messages and e-mails, and then reads them aloud to you. The Basic (free) version of DriveSafe.ly announces the first 25 words; the paid version (Pro) can read as many as 500 words of your message. Depending on the settings you choose, the very clear and real-sounding reader can tell you the name of the sender, the subject, and some or all of the message. And there is one other option that can be very valuable for some users. You can choose to have DriveSafe.ly automatically respond to every incoming text or e-mail with a message of your choosing. First, download and install WhereRYu? (from Volcari Software) on your BlackBerry . . . or on your child’s smart device. From the phone, add at least one trusted e-mail address. 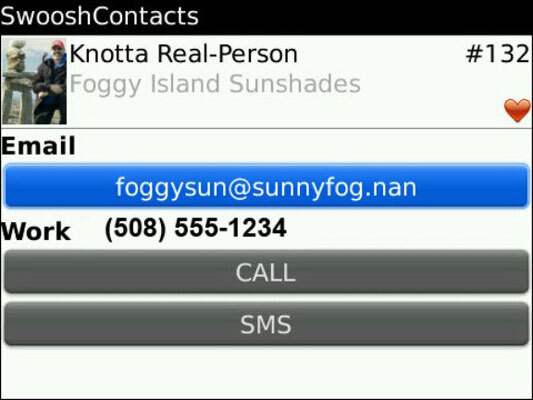 Then, you can send an e-mail from that trusted address to an e-mail account monitored on the BlackBerry. In the subject line, place WhereRYu? (or, if you prefer real English words, Where Are You?). 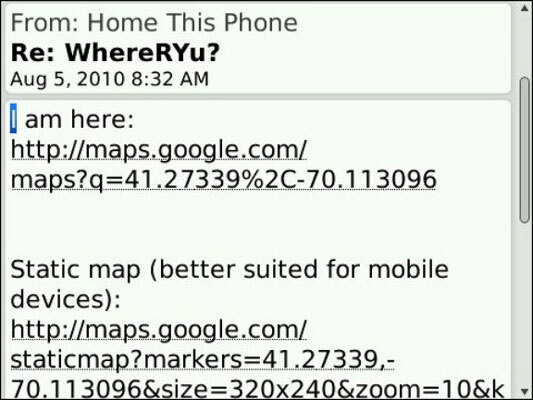 All by itself, the phone checks its location by using GPS and replies to the e-mail with a message that includes a link to a Google Map. If all goes well, the GPS report will place the location of the phone very precisely. Swoosh Software’s SwooshContacts takes a peek into the standard BlackBerry list of names, phone numbers, e-mail and text addresses, and other forms of communication you use and then reshuffles them. It adds metadata to your contact book, so it automatically moves to the top of the list any person or company you’ve recently communicated with. The more frequent the connection, the higher up on the list it goes. Over time, the app automatically adjusts the order based on usage patterns.